Senate Budget Committee Chairman Patty Murray (D-WA) and House Budget Committee Chairman (soon to be Ways and Means Committee Chairman) Paul Ryan (R-WI) have offered a welcome respite from partisan rancor with their proposal for an evidence-based policymaking commission. The commission would make recommendations about how to expand the use of data to evaluate both spending and tax policies. More specifically, it would explore the idea of a federal clearinghouse of administrative and survey data to support policy research. This is music to my ears. At the Urban Institute, we believe in the power of evidence to improve lives and strengthen communities. Public policies work best when they are rooted in facts, and solid research can spark solutions in programs and practice. Random control trials—in which people are randomly assigned to participate in a program or serve as controls— compare outcomes for a program’s participants with the outcomes comparable people achieve without the program. For programs that cannot or should not be evaluated with a random control trial, researchers often design clever alternatives, sometimes drawing upon historical or administrative data to create natural control groups. Microsimulation models (like the Urban-Brookings tax policy model) forecast outcomes under a wide range of “what if” scenarios. Administrative data from public agencies can be systematically linked and analyzed to answer questions about program design and implementation. 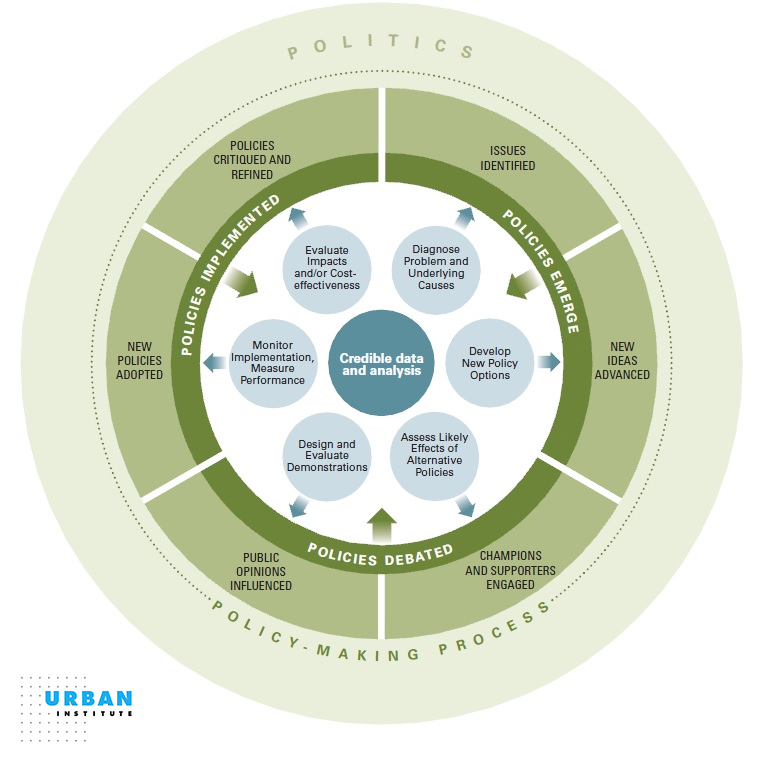 Repeated surveys (like Urban’s Health Reform Monitoring Survey) can track the roll-out of new policies in real time. But without data – current, representative, and reliable – none of these tools can be applied. That’s why the Murray-Ryan proposal is so compelling; it focuses on the most basic pre-requisite for evidence-based policy – good data. And the federal government controls a treasure trove of data that’s too often hidden or restricted from productive use. Census surveys, program administrative records, and one-time study datasets could all be more effectively mined to better inform the complex and contentious process of policymaking. Today more than ever, policymakers need evidence to help inform major decisions about program design, implementation, and funding. Whether assessing the likely effectiveness of a new initiative, comparing competing approaches to a vexing problem, figuring out where to cut, or refining a program’s rules to make it more cost effective, decisions based on rigorous evidence make better use of scarce public dollars and improve outcomes for people. While this sounds reflective of sound thinking, the challenges come from politics, party partisanship, and poorly educated and read implementers who engage in acts that are similar to what they always have done. Implementation is a challenge that escapes sound policy, statutes, legal decisions, and consequences.